At Anglia Ruskin University we strive to ensure that our students receive an outstanding academic education and student experience, which supports effective personal and professional development. Our curriculum offers the highest quality of education across a broad range of academic disciplines, which gives our students the opportunity to enhance their employability skills so that they succeed in an ever-changing and competitive graduate labour market. 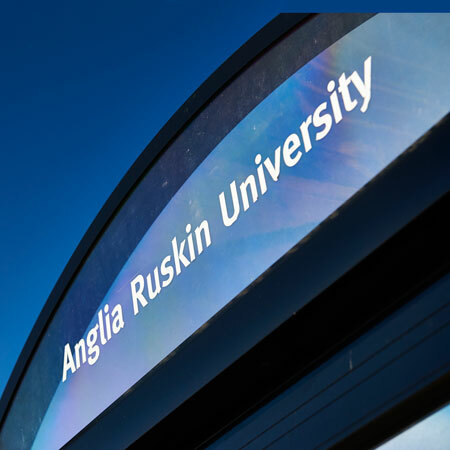 Anglia Ruskin is an innovative global university with students from 185 countries coming to study with us. We've once again been named as one of the top 350 institutions in the world in The Times Higher Education's World University Rankings 2018. We're committed to valuing diversity and promoting equality. We seek to develop our people to be responsive, and equip our students for life in a multicultural and diverse society. Our aim is to provide a supportive environment in which to work and study, where treating others with dignity, courtesy and respect is standard. 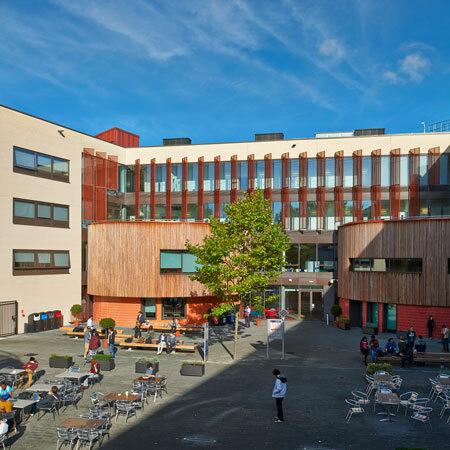 SearchHigher has been exclusively retained by Anglia Ruskin as the executive search firm for this appointment and welcome your application and enquiries. Provide leadership to the Employability Service which will ensure the delivery of a high quality service that meets the needs of our university and its students and which will be externally recognised to be amongst the best in the sector. Support the ongoing development and the implementation of our Employability Strategy, so that the highest impact and best employment outcomes are achieved by our students. Develop effective working relationships with key stakeholders within our university, including senior Faculty colleagues and others needed to deliver our employability aims and objectives, also to ensure that our work with employability contributes to wider institutional goals regarding student engagement, retention and progression. Build and develop extensive and effective relationships with graduate recruiters to inform our employability related activities. Ensure that appropriate management, staffing and other structures are in place to enable the Employability Service to deliver and develop high quality services to our students in keeping with our vision, values and goals. Lead, manage and develop our staff so that they are equipped to deliver our employability and graduate employment targets. Oversee the management of our in house recruitment agency, the Employment Bureau, ensuring that it meets it financial and placement targets. Lead on the annual Destination of Leavers from Higher Education (DLHE) survey, working with Faculty and other colleagues to ensure an effective graduate response, timely reporting of results and development of an appropriate action plan with measurable outcomes. Utilise and exploit technology to maximise the development of employability skills throughout the student journey. Ensure that there are appropriate monitoring, feedback and quality processes in place and that these are used to inform current practice, service development and planning. Commit to the Student Services' vision: to deliver outstanding support and opportunities to our students; promote our students success and increase their satisfaction; champion the student experience in our University and be an exemplar of best practice for the sector. Ensure that budgets are managed effectively, maximising any sources of income available to contribute to costs. Comply with Data Protection requirements in all working practices, and maintain confidentiality, as necessary. Lead on compliance with policies and procedures relating to employment of temporary staff and permanent working, audit and data protection requirements in all working practices. Effectively contribute to the Student Services Leadership Group and to the work of Student Services as a whole. Work collaboratively across all areas of Student Services to enhance and develop service delivery as well as to support colleagues at peak times.